Unveiled at the Beijing Auto Show, this concept previews BMW's design language, and new technologies that they feel will be present the brand's future lineup. 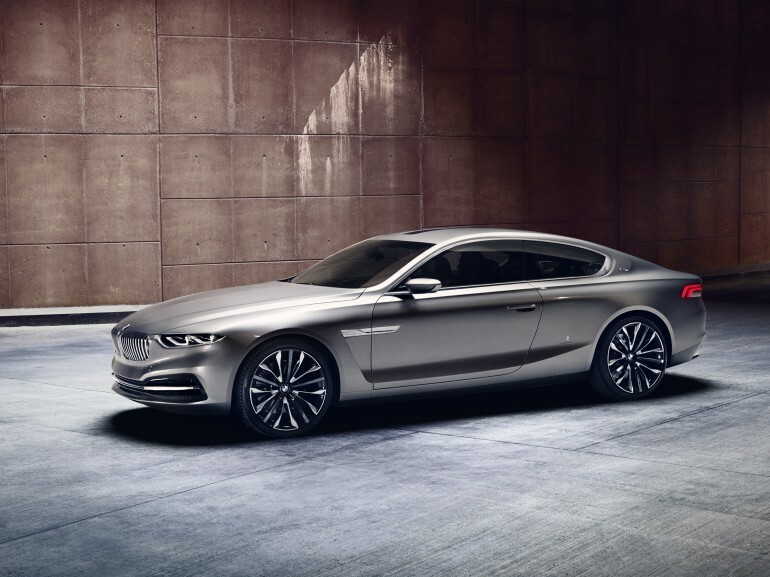 Some have speculated that it is a look at the 7-Series replacement, others have been told it may even lead to the creation of a new "9-Series" that would stand alone in a new segment for BMW. Regardless of the nomenclature, there are plenty of interesting details on the concept, both inside and out. Just look at the exposed carbon fibre structure, bordered in aluminium, moving to leather and real wood on the surfaces you touch - the designers clearly had no ceiling placed on this project, and it shows. The car was impressive to behold at the 2014 Concorso d'Eleganza Villa d'Este, with terrific presence and that interior is perhaps even more beautiful in person. A long, sleek silhouette recalls the Pininfarina designed Gran Lusso Coupe, with the cabin slightly taller and more forward to provide the interior space demanded by customers in this sector. The doors feature strongly, with the rear suicide doors (hinged at the rear rather than the front of the door) giving a comfortably generous entry to the car, and showcasing a minimalist B-pillar and seat frames integrated into the load-bearing carbon structure. Laser headlights and organic LED (OLED) elements in the taillights make it clear to other motorists that this is no ordinary BMW, and for anyone lucky enough to be a passenger, the interior is rather special. You can read through BMW's press release for all the gushing jargon you can handle about their new technologies, but rest assured, it's all very "connected" (that tablet in the back for instance, is removable and can handle just about any request you can think of) and it's all certainly very luxurious. No details were given on what will power the car should it make it out of the concept phase, but we can infer a little from the gallery's details. The e-Drive badge on the rear hints at some sort of electrified setup, perhaps similar to the plug-in hybrid system on the powerful yet efficient i8. The inclusion of exhaust pipes would again reinforce the idea that we should expect some form of traditional engine alongside BMW's latest efforts in electric drivetrains.